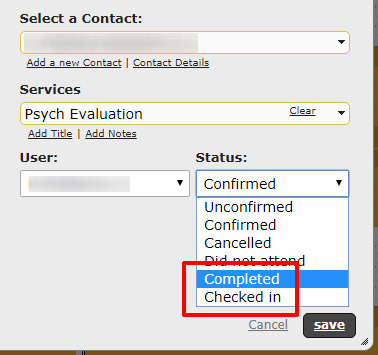 Within here you can setup new custom status entries beyond the regular 4 statuses of “Unconfirmed”, “Confirmed”, “Cancelled” and “Did not attend”. 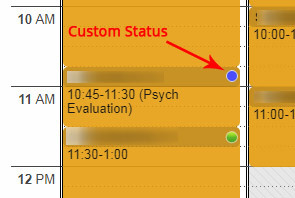 The new statuses you enter can then be set when editing appointments on the calendar. 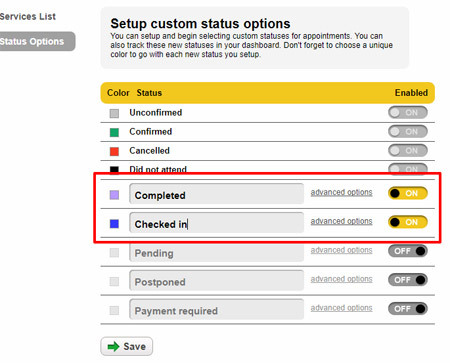 The color dot will indicate the status of the appointment. You can also keep track of these new appointment statuses through the dashboard. Advanced options settings also provide a way to prevent the contacts in an appointment with a particular status from being sent reminders.